That cute puppy in the pet store window is adorable. So is the one in the internet ad. And it’s tempting to want to buy her and take her home. But did you know she likely came from a puppy mill – an operation that is focused purely on profit – and neglects, abuses and provides horrific conditions for the dogs used for breeding. Most of these breeding dogs receive absolutely no vet care, live in wire cages stacked high and never ever get to touch the ground. Their only human interaction is to be abused. These are shocking conditions that no living creature should have to experience. Puppy mills are all about profit. Many puppies and kittens for sale on the internet are from these breeders, and they know how to position their sales tactic so you think it’s “not that bad.” Don’t be fooled. 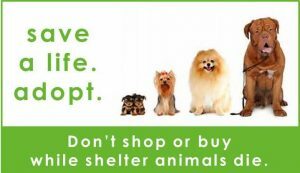 We hope you will educate yourself before buying from a pet store or breeder. For more information, visit The Puppy Mill Project site, the ASPCA site and Best Friends to learn more about puppy mills. You can meet puppy mill survivors and from National Dog Rescue – and give them a second chance at love. 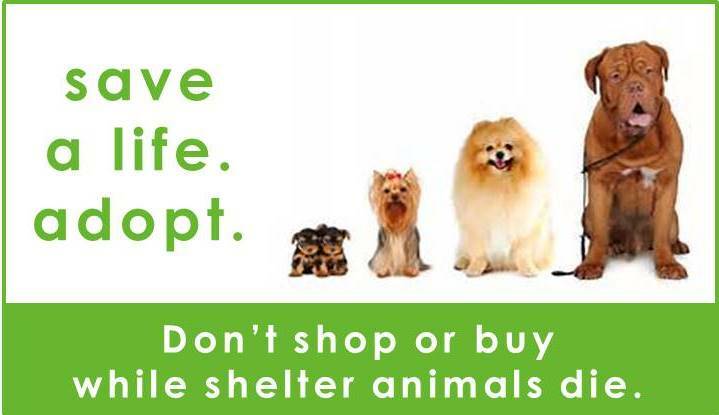 Please do not buy from a Pet Store, for any reason. 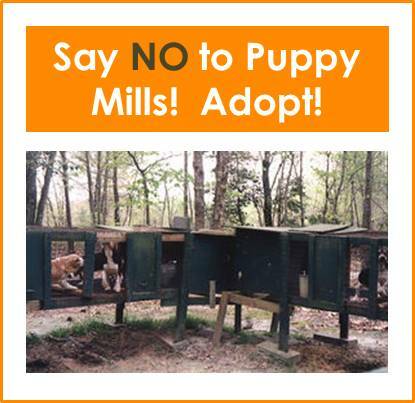 You are supporting puppy mills when you do. Puppies and kittens from pet stores often have serious health problems, and you are giving the owners a reason to continue to profit off abuse. You are condemning mom and dad to a horrible life of abuse and neglect. Truly responsible breeders do not sell their puppies through pet stores. They want to meet prospective pet parents and ask questions. They care about the adoptive homes. Educate yourself about pet store claims here. While we hope you’ll consider adoption (there are many purebreds in rescue), if you must buy from a breeder, we hope you’ll do your research and buy from a reputable breeder. Read more here about responsible breeders. Always insist on being able to see the mom and dad, and where they and the puppies live. If the breeder resists or insists on meeting at a neutral location, this is a red-flag that puppy-mill like conditions likely exist. A reputable breeder will have no problem showing you. What’s Wrong with Puppy Mills?